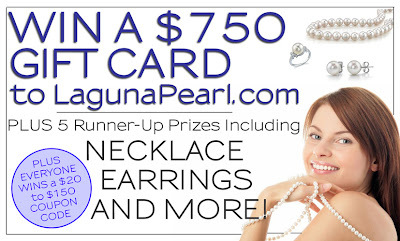 mommy's reviews: Laguna Pearls Summer Giveaway Event! Do you all remember the post I did regarding the lovely Laguna Pearls I received for review? They are one of my favorite pair of earrings now...I wear them all the time! I love how they dress up any outfit!!! Well, I have great news for you! 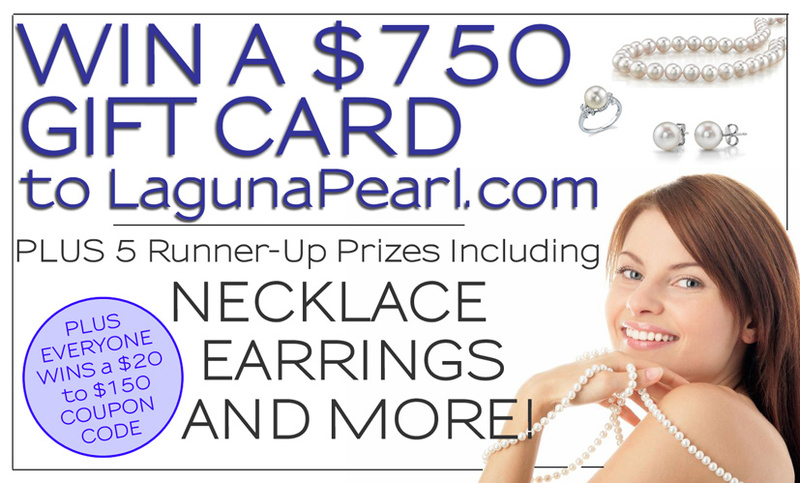 Laguna Pearl is having an awesome giveaway going on right now and the prizes are amazing! There will be SIX winners all together and the prizes are all pretty fantastic. Ok girls (and guys if you are looking for a stunning Christmas gift), this is a wonderful giveaway and I wanted to share it with you all so you have a chance to win! This contest ends at the end of September. To enter, all you need to do is click on this link and then fill in the name and email address field. Pretty simple! So, head on over to Laguna Pearl and enter to win one of these 6 fabulous prizes!! What is a girl with out a pearl?! ?